The new and improved Byron Original Portion Snus is a perfectly balanced premium snus with a distinct flavor - just like the famous cigar brand which gave it its name. Made with just a touch of Cuban tobacco. US Sales not allowed. 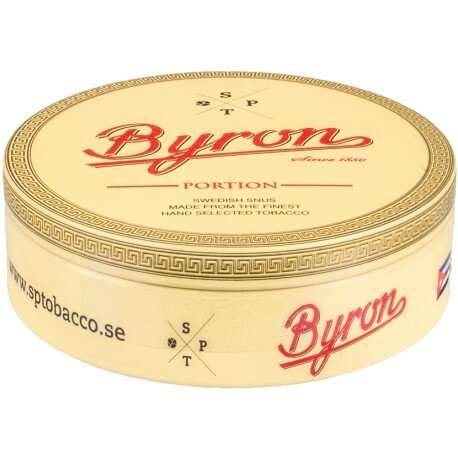 No longer made by Taboca A/S, Byron Original Portion Snus has taken a big leap up in quality since manufacture switched to a subsidiary of GN Tobacco. Very good snus that has a awesome flavor with the Cuban tobacco flavor, but very tobacco dominant. There's a couple sites that will send to the U.S, but I wish all did.